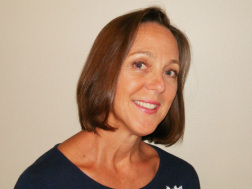 With over 25 years of clinical experience in psychology, Dr. Carol Armstrong provides specialized and individualized services utilizing an array of therapy modalities. Her practice philosophy includes a special interest in maximizing human potential. To that end, she often helps clients explore and work toward the healthiest physical, mental, emotional, interpersonal and spiritual level afforded. For appointments, please call: (704) 896-7876. The office is comfortable, confidential and conveniently located in the Lake Norman area of North Carolina. 8211 Village Harbor Drive, Cornelius, has easy access to I-77 from exits 28 and 25. It is convenient to the neighboring areas of Davidson, Huntersville and via Highway 73 to Denver and Concord/Kannapolis. It is a short drive from north Charlotte, including Mountain Island Lake and the University (UNCC) area.